One of the things you find as a blogger is that there are so many books which sound terrific but that sadly you just can’t fit in. Today I am sharing an extract from a book which fits that description. 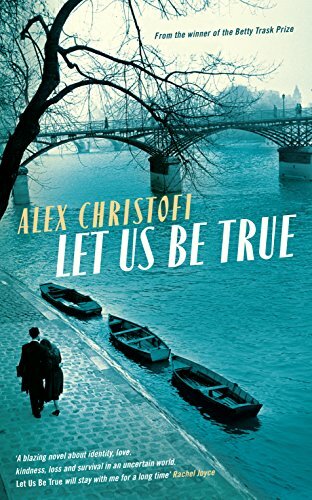 Let Us Be True, is the second novel by Alex Christofi. His debut novel, Glass, was a gentle coming-of-age story about a window cleaner. 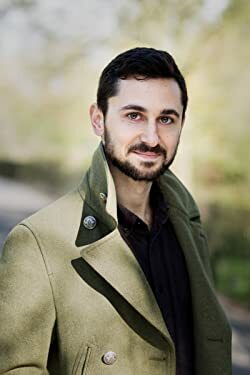 It was widely praised, earning Alex a place on the Desmond Elliot Prize longlist and went on to win the Betty Trask Prize for fiction. In Let Us Be True Alex turns his attention to a post-war Paris. Ralf and Elsa are falling in love but each battling troubled pasts and carrying heavy secrets. Through childhoods spent in rapidly Nazifying Germany, Ralf’s time in a British tank division in the Second World War, Elsa’s experience of motherhood, and forward to 1960s Paris, Let Us Be True is a sweeping love story of two unforgettable characters living through an era of great uncertainty as well as a profoundly affecting study of the personal cost of Europe’s tumultuous twentieth century. Ralf wondered how he could have fooled himself so easily into thinking that a single chance meeting was the start of a long and significant narrative. It shamed him to think that he had cycled around Paris for a week thinking about her. He had imagined looking back at this time from the vantage of years. He had been nostalgic for the present, thinking it the soft stuff of memories. Sitting with a child on his lap, its little head under Ralf’s chin, as they looked at photographs. This is the restaurant where we first had dinner. We used to go back every year. And this is where we used to live. He had underlined two sentences in a book he had been reading: ‘Why does that tune haunt me? Indeed, why is there this music?’ Every new thing he encountered had felt quite saturated with meaning, as if it were all draining down towards the same great subterranean river, and he could hear it rushing under every step. He put out his cigarette and started for the telephone ringing at the bottom of the stairs. He would buy new pencils and a typewriter ribbon. He would begin to take his academic work seriously. He would find reward in it if he put the time in. He took the stairs two at a time and caught the phone mid-ring, the bell resounding as he spoke his first words of the day. He heard the quality of the static change from ‘c’ to ‘s’. ‘All week?’ his mother asked dubiously. He listened to the hiss. The hiss, heavier than silence. She had always claimed the telephone was an amenity for the benefit of the lodger, but it was painfully clear that she had hoped they might speak more. The hiss, leaking into the gulf between them and expanding. They were already a sea apart, and threatened to fall altogether out of one another’s orbit. He heard her chair creak. It would be the same wooden chair that the previous lodger had left behind four years earlier when he defaulted on two months’ back-rent and disappeared. Furniture stayed in that house for as long as it took to disintegrate, and his mother was not above using her only manual tool, a hammer, to nail joints back together. He had not torn a single pair of trousers since he had left. He had stopped listening. He loved her very much but she dwelled on his shortcomings. She wanted him to gather a family about him, and yet she wanted him back in her second bedroom.